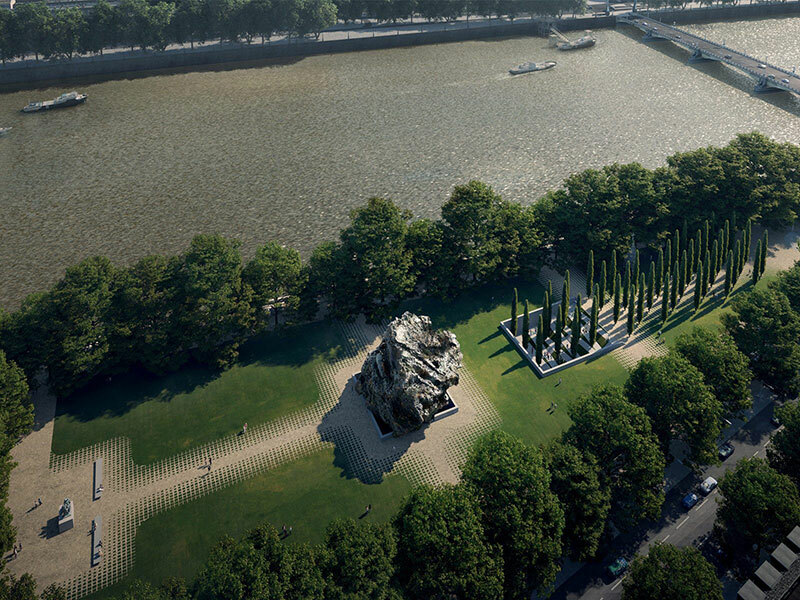 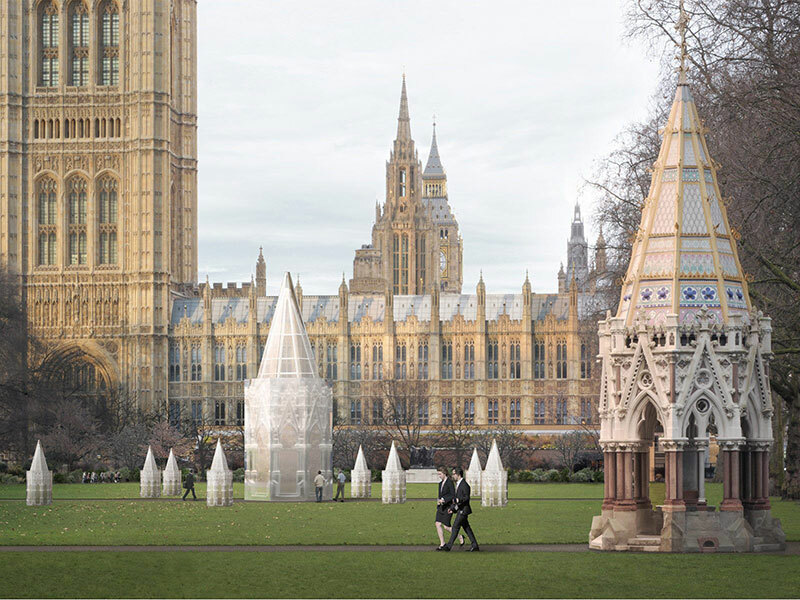 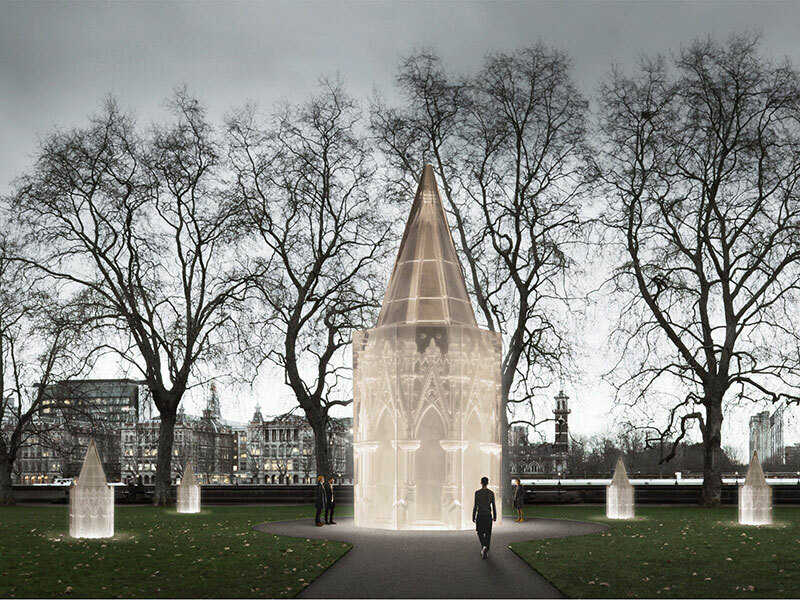 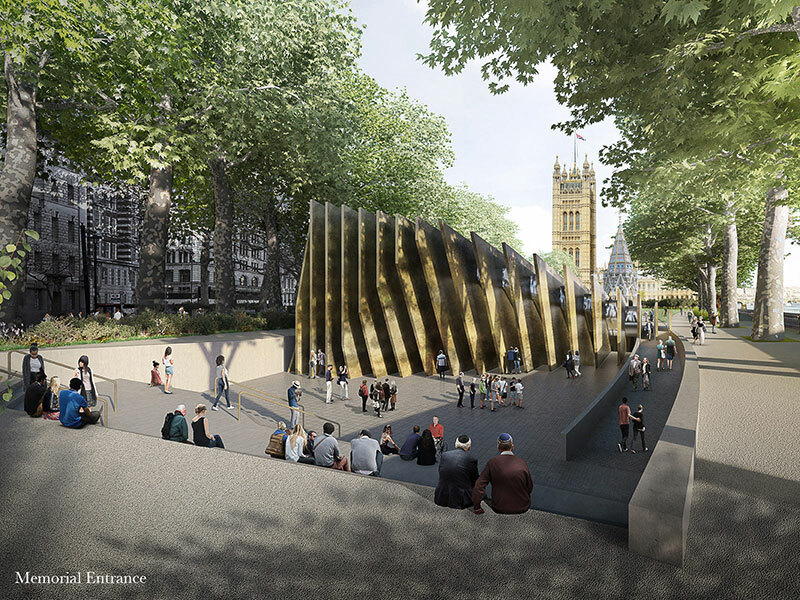 In September 2016, on the advice of the United Kingdom Holocaust Memorial Foundation, the Department for Communities and Local Government launched an international two-stage design competition for a National Memorial to honor the victims and survivors of the Holocaust and Nazi persecution. 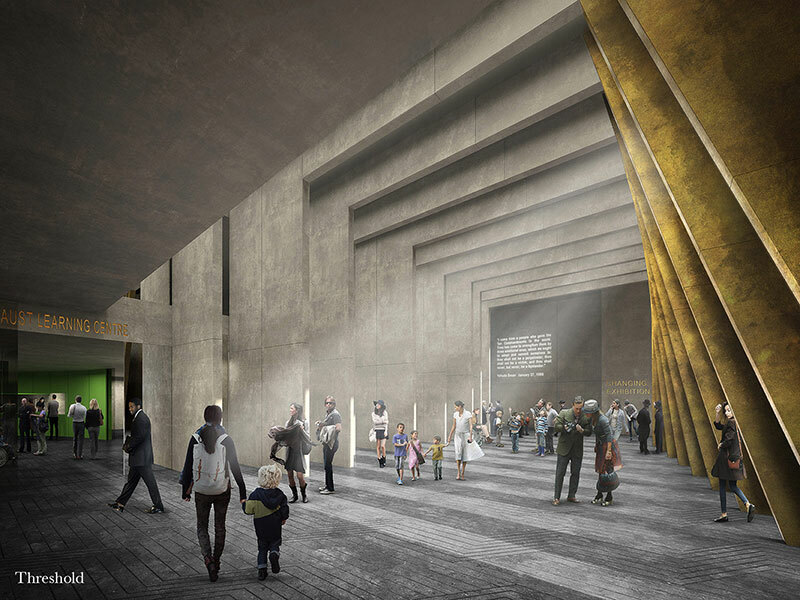 The design challenge was to create an outstanding and sensitively-designed Memorial and Learning Centre that is emotionally powerful while offering visitors an opportunity to deepen their understanding of humanity’s darkest hour. 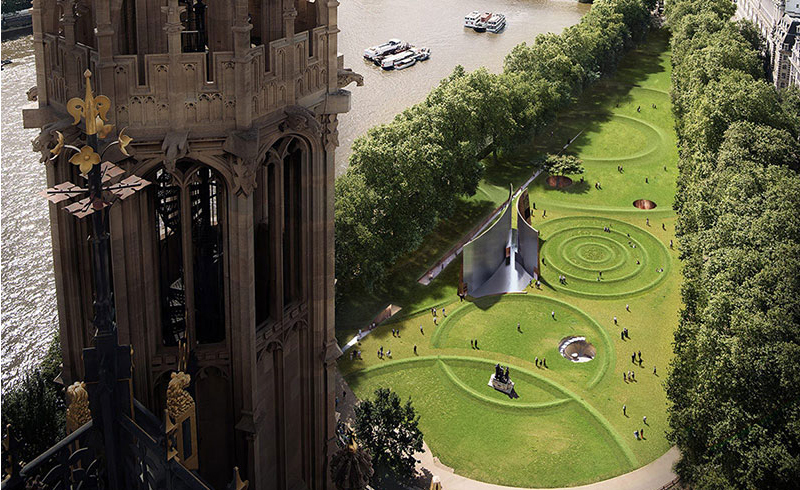 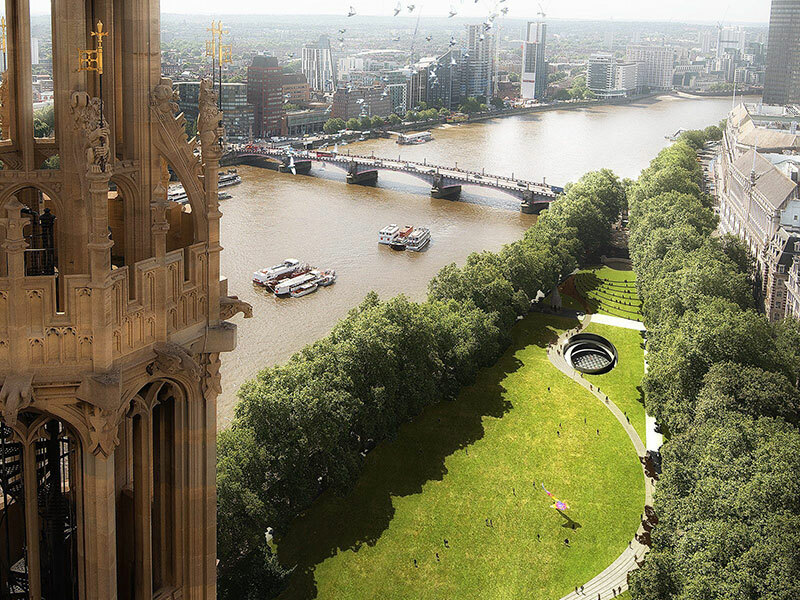 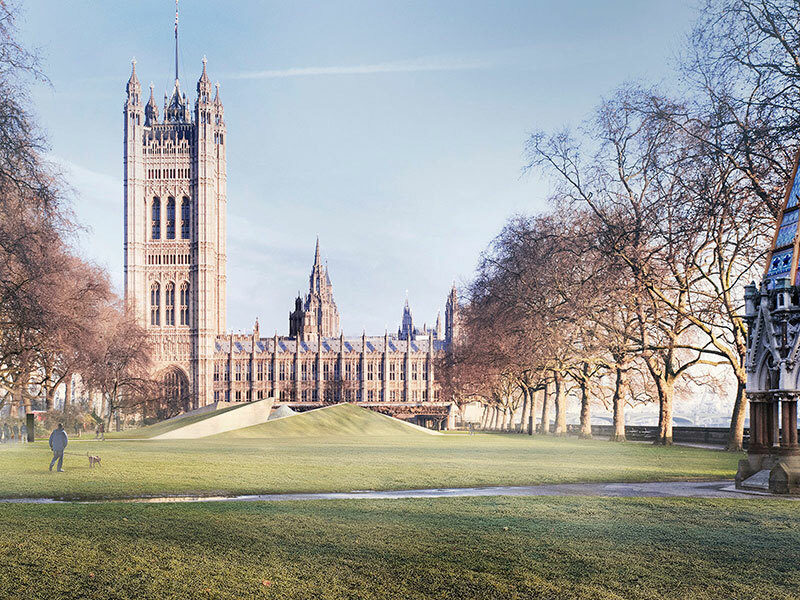 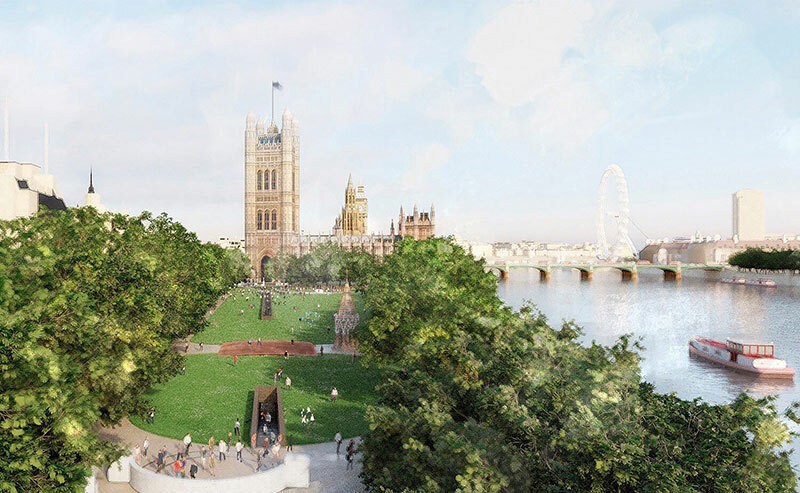 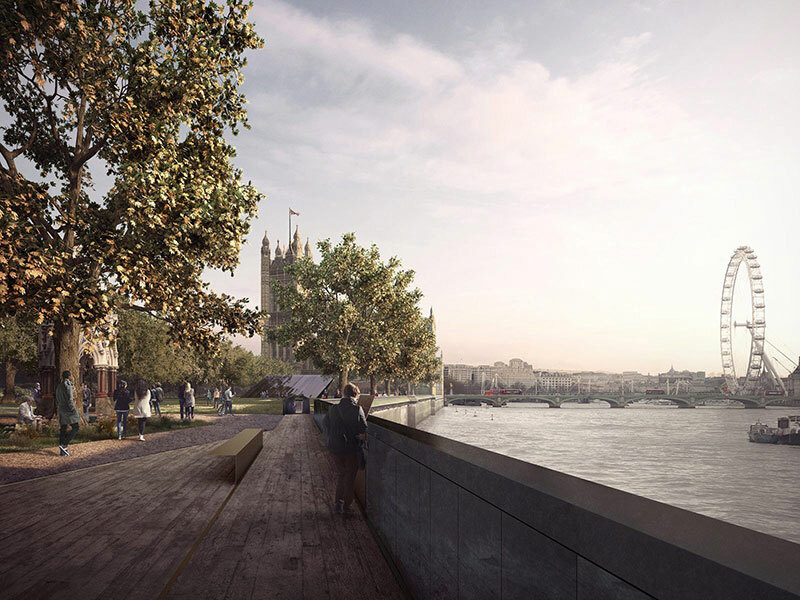 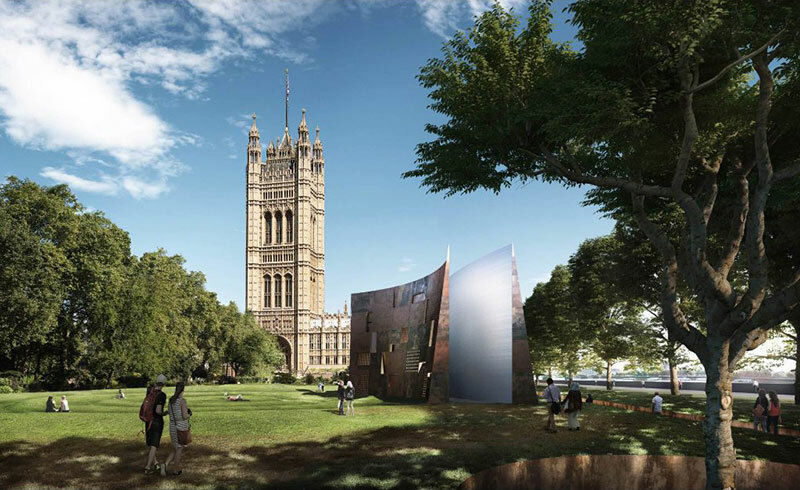 The Memorial’s site, located alongside the Houses of Parliament, is in Victoria Tower Gardens adjacent to the River Thames. 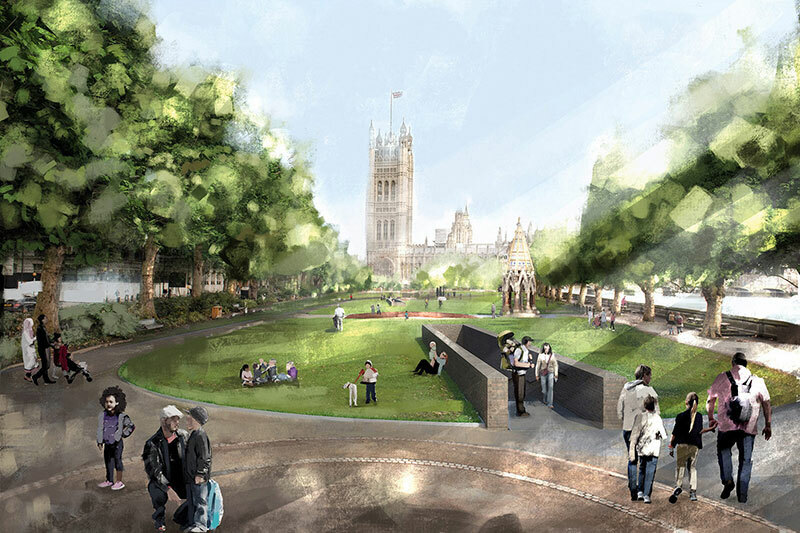 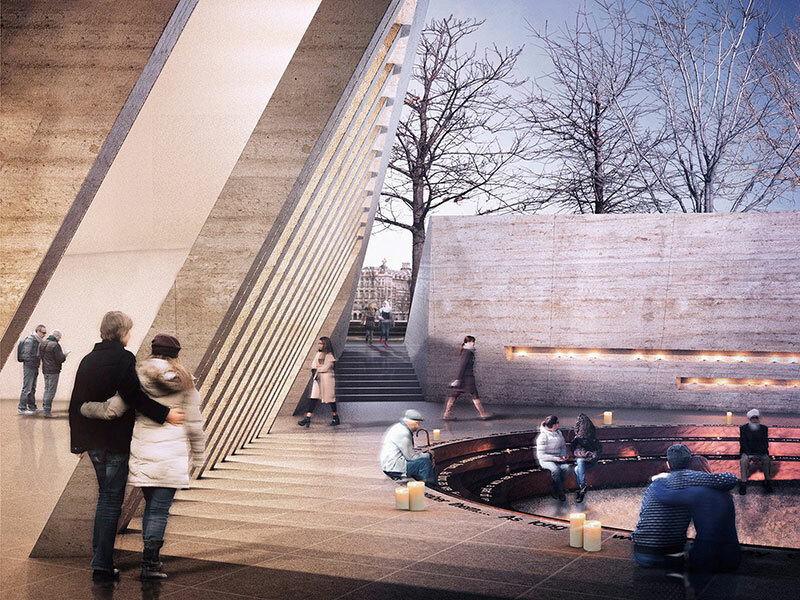 Envisaged as a place for everyone to come to remember the Holocaust, as well as a focal point for annual national commemorations, the Memorial will affirm the United Kingdom’s commitment to stand up against prejudice and hatred. 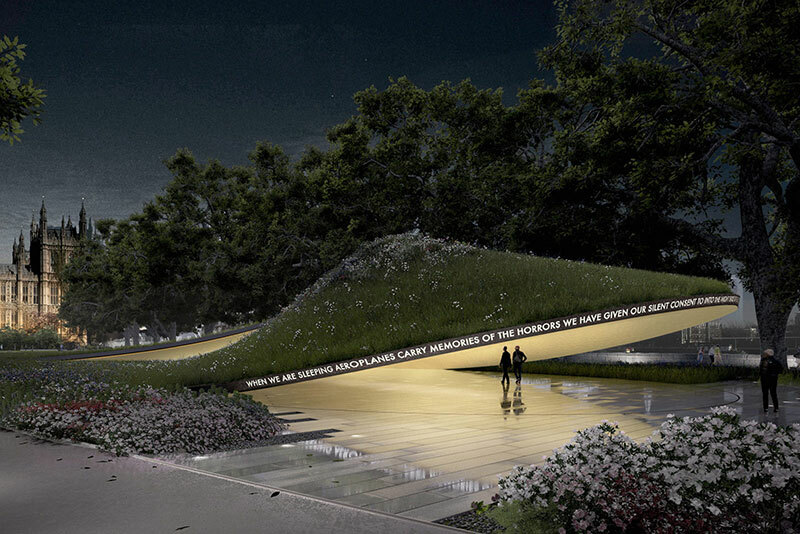 It is intended to inspire reflection and compassion, and encourage present and future generations to respect and embrace difference. 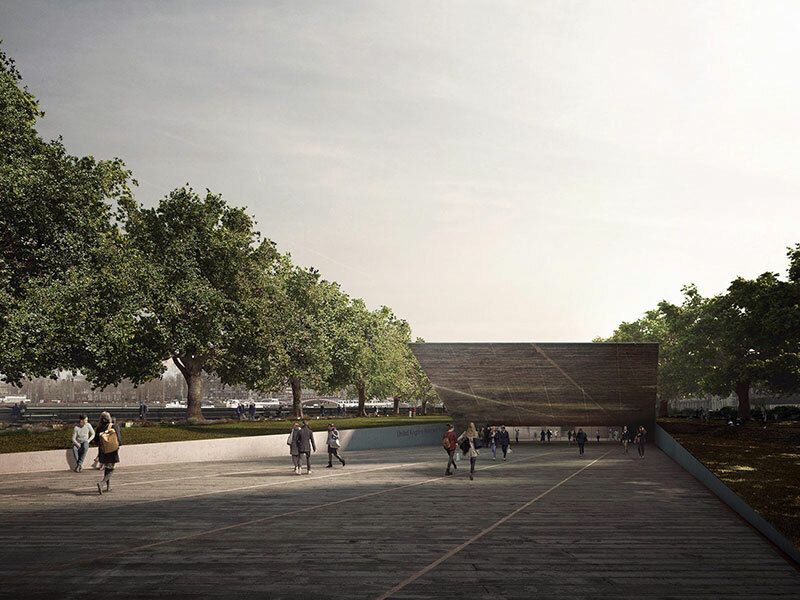 In parallel, a new Learning Centre is planned, subject to technical, financial, planning or other constraints, which will advance Holocaust education across the United Kingdom and help visitors develop a deeper understanding of how societal breakdown can, in the worst cases, lead to genocide. 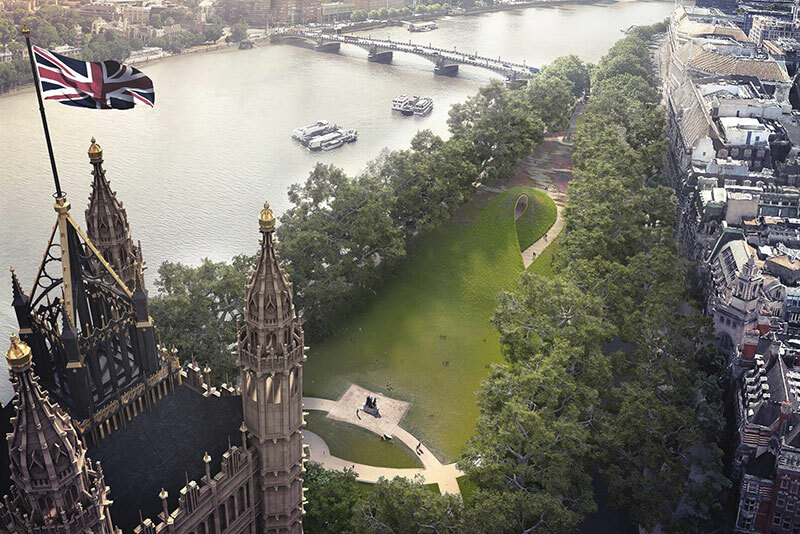 Here's the shortlist. 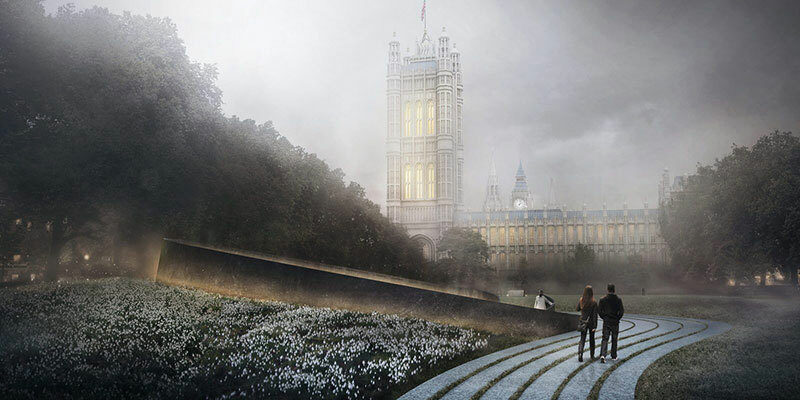 For more information on each design, click here. 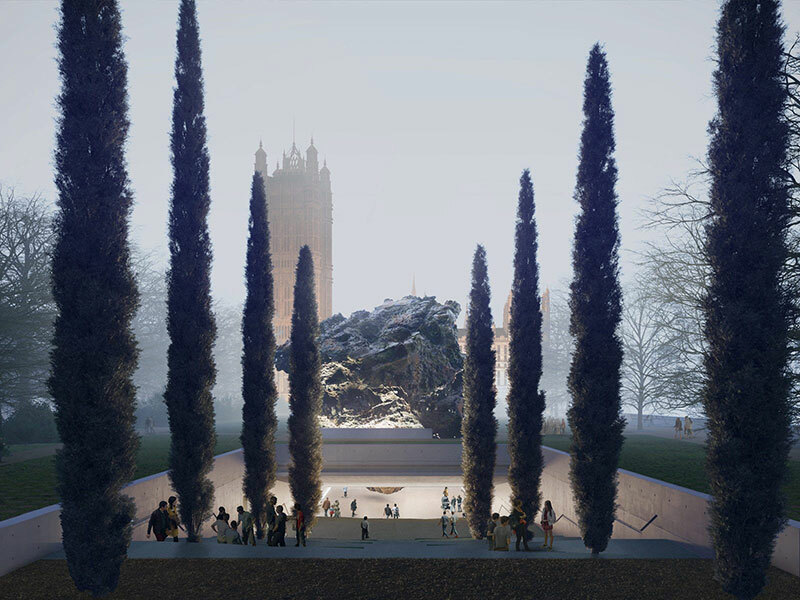 In September 2016, on the advice of the United Kingdom Holocaust Memorial Foundation, the Department for Communities and Local Government launched an international two-stage design competition for a National Memorial to honor the victims and survivors of the Holocaust and Nazi persecution.